Are you looking to add a personal touch to your loved one's funeral service? Would you like to browse through our catalog of viewing merchandise? Maybe you want to learn more about planning your own funeral. We've made all of this information — and more — available for you to explore in the comfort and privacy of your home.re you looking to add a personal touch to your loved one's funeral service? Would you like to browse through our catalog of viewing merchandise? Maybe you want to learn more about planning your own funeral. We've made all of this information — and more — available for you to explore in the comfort and privacy of your home. FACING THE LEGALITIES,GATHERING THE IMPORTANT DOCUMENTS WILL I NEED A LAWYER?DEATH CERTIFICATES NOTIFYING CREDITORS AND GOVERNMENT AGENCIES, COMMUNITY LINKS, HOTEL ACCOMMODATIONS RESTAURANTS FLOWERS SHOPS LOCAL. AT THE AGE OF 15, CLIVE ANDERSON WAS SITTING BESIDE HIS MOTHER MAKING FUNERAL ARRANGEMENTS FOR HIS DECEASED FATHER IN IRELAND. THAT’S WHEN THE SEED TO BE A FUNERAL DIRECTOR WAS PLANTED. THE FUNERAL DIRECTOR TOOK A BURDEN OFF HIS SHOULDERS, CREATED A MEANINGFUL CELEBRATION AND MANY POSITIVE MEMORIES. IT WAS THEN HE FIGURED OUT HOW MUCH HE ENJOYED HELPING PEOPLE THROUGH THE MOST DIFFICULT TIME IN THEIR LIFE AND DECIDED HE WANTED TO OWN A FUNERAL HOME. 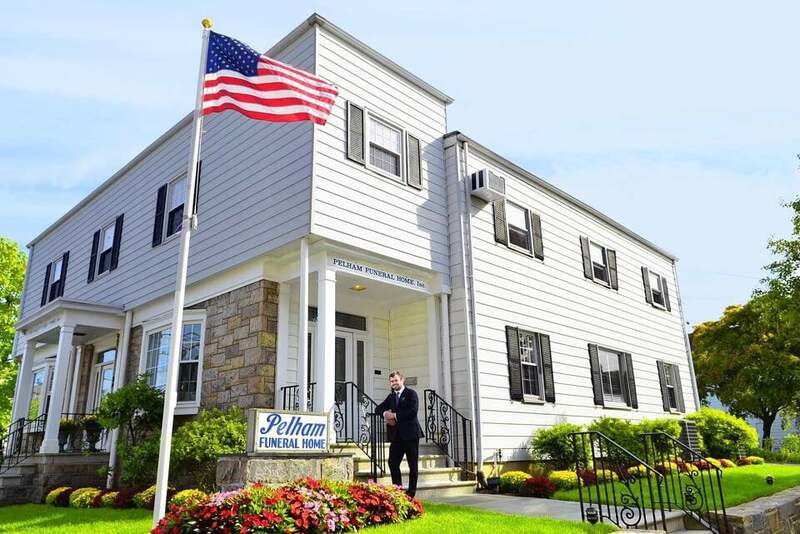 HIS DREAM CAME TO PASS RECENTLY WHEN HE PURCHASED PELHAM FUNERAL HOME FROM THE CHILDREN OF ITS FOUNDER, JAMES FLOOD, WHO OPENED THE PELHAM INSTITUTION IN 1946. 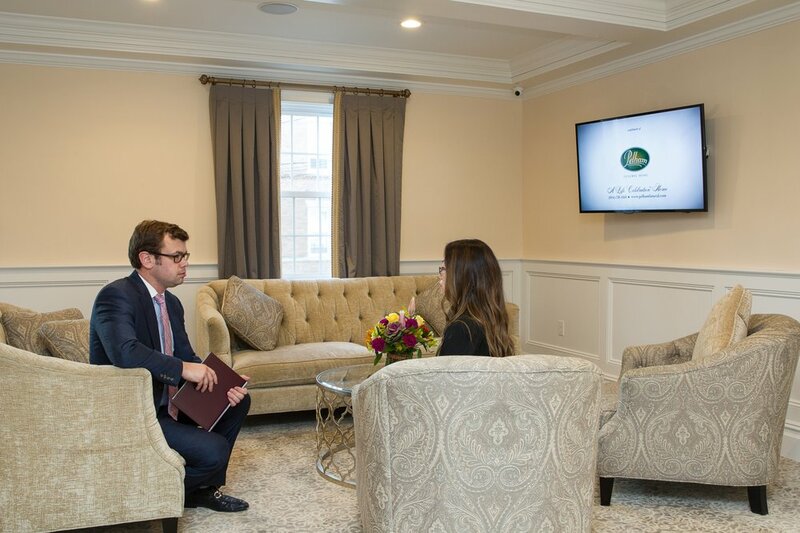 MR. ANDERSON IS EAGER TO CONTINUE THE FAMILY OWNED TRADITION OF PELHAM FUNERAL & LIFE CELEBRATION HOME WITH A FRESH NEW APPROACH FOR THE FUTURE. BEING A LIFE CELEBRATION HOME ENABLES OUR DEDICATED STAFF TO PROVIDE PERSONAL ATTENTION TO EVERY DETAIL AND DEVOTE THEMSELVES TO MAKING YOUR EXPERIENCE AS EASY AND COMFORTABLE AS POSSIBLE FOR FAMILY AND FRIENDS. OUR CUSTOMER-FOCUSED APPROACH ALLOWS FAMILIES TO COME TOGETHER, CELEBRATE THEIR LOVED ONE’S LIFE, REFLECT, AND CREATE AN EXCEPTIONAL CELEBRATORY EXPERIENCE. WE ARE BIG ENOUGH TO HANDLE ANY SIZE CELEBRATION, YET SMALL ENOUGH TO PAY ATTENTION TO EVERY FINE DETAIL.